German engineered. North American Service. We're dedicated to providing the best solutions for our customers' access challenges. Our treaded lifts are at the forefront of technological innovation and our service is the largest of its kind in North America. Teupen lifts not only reach your tallest jobs safely, they are also extremely maneuverable. WIN MORE BIDS. PERFORM THE WORK SAFELY. Lifts from Teupen North America allow our customers to take on jobs that were previously impossible. More work. Finish in less time. Keep safe. Quality and innovation in a versitile tracked lift. 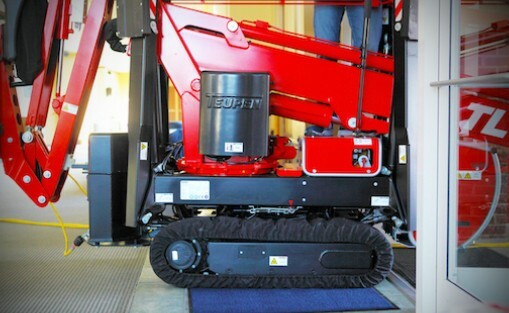 See how lifts from Teupen beat the alternative. Just as the horse and buggy was a great solution 100 years ago, so was the use of scaffolding where there were height access challenges. Fast forward to today. Cars are faster and buildings are taller. Not only that, but there are great safety concerns when working in areas where height and access are a concern. Scaffolding solutions may seem like the way to go, but there is a better way. Lifts from Teupen USA are not only easier to get in and out, easier to setup, but save countless hours of work over scaffolding. Not only that, but using a Teupen USA lift is far safer than the alternative. Redefining the way you work. Raise your bottom line today. For more than 40 years, Teupen has proven to be the world's leading manufacturer of compact track lifts, sometimes referred to as access lifts, spider lifts, aerial lifts, articulated lifts and booms lifts. Teupen North America, Inc. located in Charlotte, NC is the North American Sales and Service Support Center. Teupen's goal is to solve our customer's height access challenges and help them to create sustainable cost and competitive advantages by using our products. We provide the best height access solutions for many industries, including construction, facility maintenance, tree care, window cleaning, sporting venues, industrial and anywhere else there is an access challenge indoors or outdoors. Unconventional creative thinking combined with the high standards of German craftsmanship are the strengths of the Teupen team allowing a history of ground-breaking technical innovations for the safety and comfort of our customers. Today, Teupen offers its lift technology on multiple platforms. The same high standard and proven technology for ultimate safety, reliability and ease of use. Not only do we have the best tracked boom lifts in the industry, but Teupen has built a solid reputation on our outstanding local sales and service. We offer sales, service and training based out of our North American Headquarters in Charlotte, NC. Construction , Tree Care, Facility Maintenance, Window Cleaning and More! Sloped sites, narrow access and extreme floor load restrictions can all render the use of a traditional rubber tired booms ineffective. Lifts from Teupen USA fill application requirements in a diverse range of construction practices both interior and exterior. 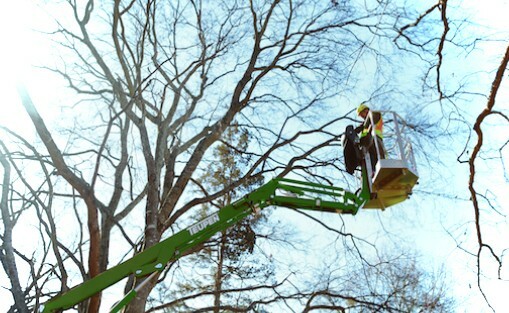 Safety and access are challenges tree care professionals deal with every day. 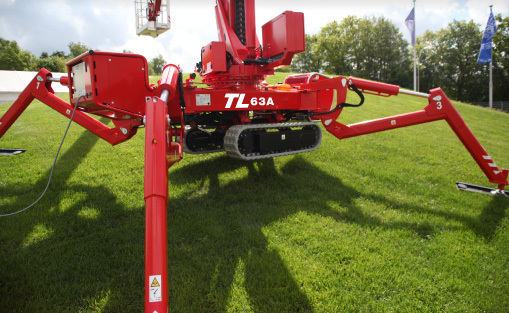 The CANOPY® Series from Teupen USA has been specially configured for the tree care industry, ultimately leading to increasing safety and your ability to take on more work. Interior and exterior maintenance is increasingly becoming more difficult. With commercial buildings and homes with generous space and tight access, lifts from Teupen USA make the perfect solution, reaching elaborate facades, ceilings and more. Stop using scaffolding and other difficult work-arounds. Whether you're in the Window Cleaning Industry, maintain Sporting and Concert Venues, install Signs or Lighting or have a company with height access challenges, lifts from Teupen USA make the perfect solution.